LAHAINA CANNERY MALL. Thursday (today): Hula lessons, 5 p.m.; Hui! 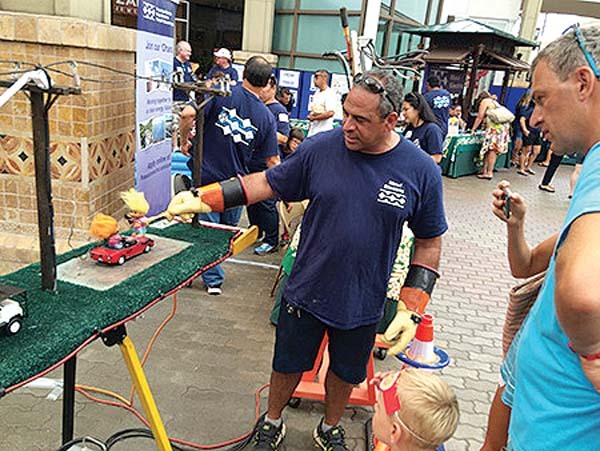 Lanakila, 6:30 p.m. Saturday: Family Magic, noon; Te Tiare Patitifa, 1 p.m.; Yu-Gi-Oh card session, 3 p.m. Sunday: Te Tiare Patitifa, 1 p.m. Tuesday: Free ukulele lessons, 5:45 p.m.; Na Kamali’i Nani O Lahaina, 6:30 p.m.
MAUI MALL. Sunday: Zumba by Keoni’s Hot Lava DanceFit Studio, 9 a.m.; Whole Foods Arts & Craft Fair, 10 a.m. to 2 p.m.; Hula by Halau Hula O Keola Ali’iokekai, 11 a.m. OUTLETS OF MAUI. Thursday (today), Saturday, Monday and Wednesday: Tahitian show, 6 to 7 p.m. Friday: Hula lessons, 2 to 3 p.m.; Ukulele Show, 5 to 5:45 p.m.; Vicente Cacal, 5:30 to 7:30 p.m. Saturday: Mike Finkiewicz, 5 to 7 p.m. Sunday: International Dance, 6 to 7 p.m. Monday: Coconut Husking demo, 4 to 5 p.m.; Mike Finkiewicz, 5 to 7 p.m. Tuesday: Ukulele lessons, 11 a.m. Wednesday: Lei making, 2:30 to 3:30 p.m.; Hawaiian arts and crafts, 4 to 5 p.m.; Mike Finkiewicz, 5 to 7 p.m.
QUEEN KA’AHUMANU CENTER. Friday, Tuesday and Wednesday: Farmers market, 8 a.m. to 4 p.m. Thursday (today): Tai Chi by Southern Praying Mantis, 10 to 11 a.m. Friday: Kama’aina Nights with Sista Val, Acoustaland featuring Papa T and Mondokane, followed by Tropic 50 Music, 6 to 8 p.m. Saturday: Maui Electric Company presents Maui Electric Energy Fair, 10 a.m. to 1:30 p.m.; Friends of Hot Rods & Classic Cars, 5:30 to 9 p.m. Monday: Kids Club, 10 to 11:30 a.m. Wednesday: Maui Friends of the Library presents Haiku in English, 4:30 to 6:30 p.m. THE SHOPS AT WAILEA. 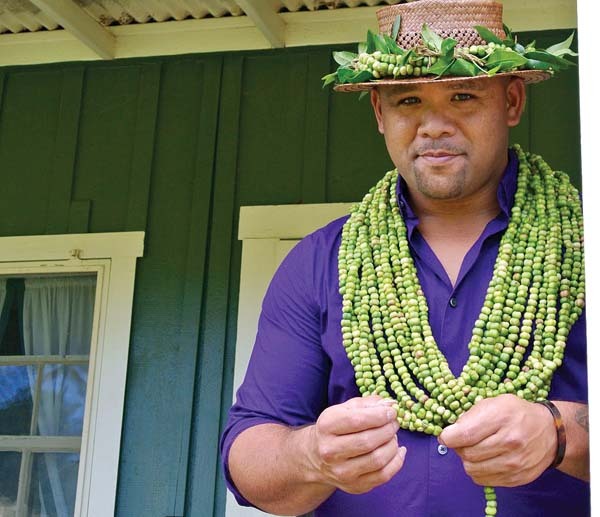 Thursday (today): Coconut frond weaving, 2:30 to 3:30 p.m.; Polynesian show, 5:30 to 6:30 p.m. Friday: Ukulele lessons, 3 to 4 p.m.; Pau Hana with Gilbran Vicente and Larry Endrina, 4 to 6 p.m. Monday: Lei po’o making, 2:30 to 3:30 p.m.; Ukulele lessons, 5:30 to 6:30 p.m. Tuesday: Coconut husking, 2:30 to 3:30 p.m.; Polynesian show, 5:30 to 6:30 p.m. Wednesday: Island wood carving, 10:30 a.m. to 1 p.m.; Lei po’o making, 1:30 to 2:30 p.m.; Concert at the Shops with Kuana Torres Kahele, 5:30 to 7 p.m.